When choosing a surgeon for any type of cosmetic procedure, it is important to consider the opinions and experiences of previous patients. Dr. Mohammed Alghoul is renowned for the impressive oculoplastic and reconstructive results that he can provide, and has the satisfied clients to back up those results. 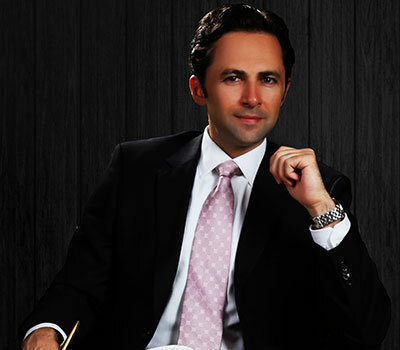 To learn more about the Chicago plastic surgeon, read on for Dr. Alghoul’s patient reviews. I met Dr Alghoul because of an unexpected emergency… Mohs facial surgery that needed immediate attention. It is a precise surgical technique to treat skin cancer. Not only did he and his staff extend their busy day to work with me, but they did it with warmth, kindness and expertise. Two years later, when I walked into his office for my latest surgery, the receptionist and nurses weren’t even sure which side of my face he had corrected! My latest issue was an eye problem. When the Ophthamologist told me my eyes were fine, but I needed to see a Plastic Surgeon because of drooping eye lids ,I immediately contacted Dr Alghoul…how fortunate I was to know this incredibly talented surgeon who really listened to my concerns and took a genuine interest in what was best for me. As a result, no pain, no drooping eyelids and no tiredness…….the day after surgery, I felt exhilarated……….I felt that at the age of 81 I began to recognize my familiar feeling of energy and positive thinking. Thank you Dr Alghoul for the remarkable care you have always given to me. On Labor Day 2012, I was in a horrible bicycle accident leaving me with multiple fractures to the side of my face including the cheekbone and eye socket. I was transported to Northwestern Hospital ER. I met a few doctors and surgeons in the ER, but one stood out among the rest, Dr Mohammed Alghoul. I was extremely scared and anxious. He made me feel at ease and I immediately felt I was in the best of hands. Dr. Alghoul performed the reconstruction of the right side of my face utilizing titanium plates. Dr. Alghoul actually takes the time to listen to your concerns and he was always available throughout the entire healing process. Dr. Alghoul has a wonderful bedside manner and, above all, is a meticulous skilled surgeon. You would never know the damage I sustained to my face looking at me today. There is symmetry to my eyes and cheek, and the eyelid does not droop at all. Words alone cannot express my gratitude to Dr. Alghoul. Without hesitation, I highly recommend Dr. Alghoul. Thank you doesn’t come close to describing my gratitude for all you have done for me. Not only are you an outstanding doctor, but you are a wonderful person. The first time I met you, I had just been told that I had breast cancer. Dr. Khan didn’t hesitate in recommending you for the reconstruction. You were and always have been compassionate and supportive. You gave me hope that I would get through this and indeed I have! Because of your gift as a surgeon you have made me feel “whole.” You’ve always been honest, patient & encouraging. I’m extremely lucky to be taken care of by you and your whole staff. Thank you so much for the phenomenal work you did on my breast, I’m extremely grateful. You are the best and I will never forget you or what you have done. I was twenty five with breast cancer. The day I met Dr. Alghoul my mind was still reeling. He would be the surgeon to replace a missing piece of me and make me feel like “me” again. I recently completed reconstruction with him and to call him anything but amazing would be an understatement. After five MOHS procedures for basal cell carcinoma, I was referred to Dr.Alghoul for reconstruction for my ear. Dr. Alghoul and his staff were nothing but professional and caring. From pre-op to post-op I knew that I was in the best care I could have. I would recommend Dr. Alghoul to anyone that needs reconstructive or Plastic surgery of any kind..My treatment was nothing but pleasant and the end result was phenomenal. I came to Dr. Alghoul with a broken nose that caused me many problems over the years. In addition to fixing my breathing and sinus problems, I also wanted to correct the bump in my bridge. To be honest, I didn’t know what to expect and was a little nervous as my “former” nose and I had a very nice longstanding relationship. Dr. Alghoul is the most compassionate and patient doctor that I have met. Little did I know at the time that there was no cause for concern in his hands. The surgery changed my life. He corrected all of the structural issues and made my nose look even better! I would recommend Dr. Alghoul to absolutely anyone. His talent and genuine concern for his patients make him truly unique. I am deeply grateful for the expertise, patience and compassion I experienced with you over the past year and a half. After a different office yielded a poor surgical outcome to my left eye, I had a series of consultations and attempts to correct a severe case of ectropion. Each subsequent attempt and procedure did not offer resolution and compounded the problem further. Not only did I suffer physically but I suffered emotionally. I was home bound – could not work, exercise or live a normal lifestyle. After diligent research both locally and globally I then found you. I was still unsure if my eye could really be fixed, but everything that you said – your attention to every detail, your professionalism, clinical knowledge and training of the eye made me realize that I was graced by God! Everything you stated made sense. You offered me a solution that had not been proposed by any other consult or Oculoplastic surgeon. The correction you have done to restore function to my eye, allowing for a normal, natural appearance is REMARKABLE! You are so incredibly skilled and talented! Your well chosen staff is an excellent compliment to you. Your team offers comfort, compassion and competence. I thank you so much for giving me my eye back and my life back! You are by far the best of the best! Dr. Alghoul finished my plastic surgery and the outcome was terrific! His care and professionalism produced results that were far beyond my expectations. I had some cancer removed from my forehead and temple area and Dr. Alghoul took wonderful care of me. I highly recommend his expertise and care. The results were amazing. Thank you so much Dr. Alghoul. Dr. Alghoul conducted reconstructive nose surgery after Moh’s surgery left an unexpected large wound. He was caring, patient, informative and, most importantly, a fantastic surgeon. The results have been terrific. Highly recommend Dr. Alghoul and his nursing and office staff.